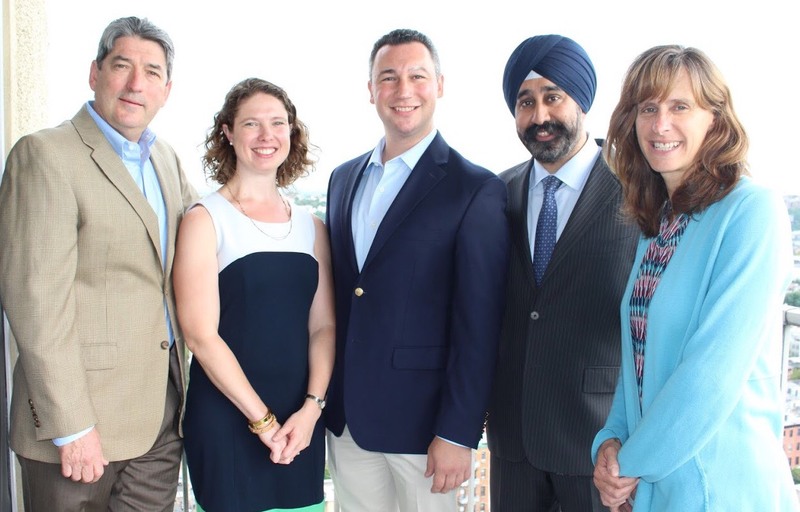 Hoboken Mayoral candidate, Councilman Ravi Bhalla, today announced his slate of at-large Council candidates. Councilman Jim Doyle, Emily Ball Jabbour and John Allen are joining Bhalla in his fight to keep Hoboken moving forward. Elected to the Council in 2013, Jim Doyle is a Council leader on securing park space and upgrading parks, actively supporting new park acquisitions such as the planned Northwest Resiliency Park. He serves as Chair of the Masterplan/Zoning Ordinance Committee. He is an environmental attorney with more than 29 years of experience, working for both the US Environmental Protection Agency and the U.S. Department of Justice. Emily Ball Jabbour is a Senior Social Science Research Analyst for the Administration for Children and Families, part of the U.S. Department of Health & Human Services. Emily founded the Hudson County Chapter for the national grassroots organization Moms Demand Action for Gun Sense in America. In this capacity, Emily has worked with local law enforcement to distribute gun safety materials across Hudson County and provide 200 gun locks to the Hoboken Police Department for distribution. Among other civic commitments, Emily served as the HOPES Liaison for the Brandt Parent Consortium for the 2016-17 school year. She is a graduate of Boston College and earned her Master’s of Science in Social Work at Columbia University. John Allen is an attorney at the law firm of Schenck, Price, Smith & King, LLP, where he specializes in the representation of governmental bodies, including boards of education and municipalities. He serves as a Hoboken Democratic Committeeman and is on the Board of Directors of Easterseals New Jersey, one of the state’s oldest and largest charitable organizations dedicated to empowering individuals with disabilities. He is a graduate of Rutgers University and earned his law degree at Rutgers School of Law, where as an Education Fellow he prepared curriculum for continuing education classes for school leaders and administrators in New Jersey and New York. The candidates pledge an active grassroots campaign reaching out to voters in all corners of Hoboken.